Blackjack or 21 – a brief history? The names “Blackjack” or “21”, generally speaking are used interchangeably to refer to the same game. Originally known as Twenty-one, due to the fact that the underlying premise of the game is beat the dealer by being closer to 21, it wasn’t until the game migrated from Europe to America that it became known as Blackjack. Apparently, in an effort to win over US casino players (who took some time to warm to the game), a 10-1 payout was paid to players hitting the A and a black jack (Jack or Jack ). The game came to be known as Blackjack, and while the 10 to 1 payout has long since disappeared, and Blackjack is now paid out on any Ace and 10 card, the name has stuck to this day. Blackjack has become one of the most popular casino games in the world, offered in every major terrestrial casino and all online casinos. Most live casinos include blackjack as one of the few games they offer. Its popularity is due at least in part to the fact that it is one of the best returning casino games, with a house edge of less around 0.5% when played optimally. It is also the only casino game that affords skilled players the ability to enjoy a mathematical edge over casinos if they know how to count cards and bet effectively to the count. their counting expertise. The exploits of the MIT Blackjack Team is perhaps the most celebrated of these. In the game of blackjack you are playing against the dealer and the aim of the game is to have a hand higher in value than the dealer’s without ‘busting’ or going over 21. Equal hands are pushed; that is you get your bet back with no win. The game begins with the player(s) placing a bet in his/her allocate bet box. The dealer will then deal all participating players 2 cards (both facing up) as well as 2 cards to him/her self (only 1 facing up). The game may be dealt from a single deck through to an eight deck shoe depending on where you are playing. Hand values are equal to the sum of cards held. 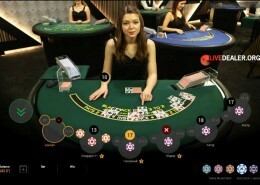 Following the initial deal of 2 cards to all players and the dealer, each player plays his/her hand in turn, with the option to receive additional cards (hit/stand/double down/split – see below). The aim is to get a hand total higher than the dealer, but not more than 21. If a card is drawn that takes the hand total to more than 21, the player’s hand busts and the bet is lost. This is quite an important rule distinction that has house edge implications so is worth noting. If the dealer busts all remaining players win their bet (ie 1 to 1 payout). If the dealer doesn’t bust, all player hands totaling more than the dealers win their bet at 1 to 1. All player hands totaling less than the dealer’s lose their bet. Players dealt cards totaling 21 from the initial deal get ‘Blackjack’. As long as the dealer doesn’t also have a blackjack, the player is paid 3 to 2 (generally) on their bet. Some casinos pay 6 to 5 on blackjack – clearly an inferior payout and a blackjack game to be avoided if possible. All games listed on our live blackjack summary page pay 3:2. Additional card is dealt. Player may hit as many times as they wish on a given hand, until the hand busts. No further cards dealt to the hand. After the initial 2 card deal (and only after the initial 2 card deal) a player may choose to double down. Here the initial bet stake is doubled and only one more card is received. No further cards can be hit after this third card. If the player receives a pair on their initially dealt cards, they have the option of splitting the pairs and then playing each split hand as a separate hand. An additional bet (equal to the original stake) must be staked on the new hand resulting from the split and each hand is then played in turn. Rules regarding the ability to re-split split hands or double down split hands vary from one casino to the next so it may be worth reading the house rules for confirmation of policy, or checking our blackjack rules comparison page. When the dealer’s up-card is an Ace, players have the option of taking insurance. 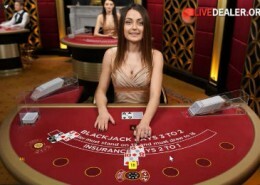 Insurance is effectively a side bet paying 2:1 that the dealer will get blackjack (ie their down card is a 10, J, Q or K). Regardless of whether you take insurance or not, you play out your initial hand. If you take insurance and the dealer hits blackjack, you loose your initial bet (unless of course you have blackjack) but win the 2:1 side insurance side bet. If you take insurance and the dealer doesn’t have blackjack, you lose your side bet and play out your hand. Expert consensus and irrefutable game mathematics dictates that taking insurance is never a good bet, and shouldn’t be taken if you are trying to optimize returns. Surrender allows players to fold their hand at a given point in the game and surrender only a portion of their original bet stake. It’s not a commonly offered option in blackjack (most of the live blackjack games listed on this site don’t offer surrender). 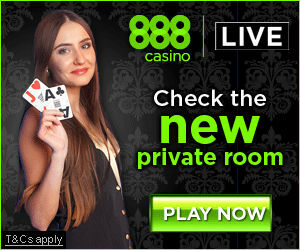 The one exception is Vuetec’s Live blackjack basic strategy with early payout™. Played optimally, blackjack is one of the best returning casino games. But optimal play dictates making the correct decision (hit, stand, double down, split, insure, surrender) on every occasion. Optimal play in blackjack is often referred to as Blackjack Basic Strategy, and it’s really not that hard to play. This is because plenty of game mathematicians and probability experts have already done all the leg work and devised basic strategy charts that tell you the correct bet for every possible scenario. Basic strategy charts, sometimes referred to as ‘Hit or Stand charts’, may be found for most rule variations. Taking the most common set of rules employed by live casinos listed on this site*, the basic strategy chart at left provides the basic strategy play for any given deal scenario. Playing blackjack basic strategy optimizes player returns to the point where the casino’s house edge is only 0.5% or thereabouts depending on the house rules being played. Counting cards can increase player returns to the point where there is actually a mathematical player edge, and long term play will result in likely player profits rather than losses. Of course card counting is generally frowned upon by most casinos (this doesn’t mean it is illegal!) and they reserve the right to ask counters to leave their premises. Most casinos employ measures to detect/prevent counting, but that’s another story altogether. There are a bunch of methods devised to count cards in Black Jack, and all are designed to enable players to determine the extent to which the cards remaining in the shoe are high card rich. A high card rich shoe results in more player pat hands and dealer busts on forced hits, and played correctly (ie employing basic strategy) will return more wins than a low card rich shoe. Counting cards is simply a method of allowing a player to understand at any given point during a shoes depletion, how high card rich it is. Contrary to popular belief, no counting methods require remembering every card dealt and computing all cards remaining. Rather they involve assigning a simple integer to broad card groups and keeping a running count of the sum of assigned integers as the cards are dealt. assign -1 to 10s, Js, Qs, Ks, A’s. You simply keep a running tally of the assigned integer for EVERY card dealt (ie. to your hand, dealer’s hand, all other players’ hands), as illustrated by way of example below. When the count is high and the deal is deep into the shoe, this means that the remaining cards are higher than average and bets should be raised accordingly. Conversely when the count is negative, the remaining cards are lower than average and bets should be reduced. 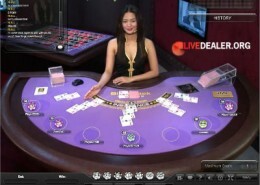 Counting cards is not possible playing RNG online blackjack as each deal is from a fully shuffled virtual deck. Counting cards playing live blackjack is largely mitigated by casino shuffle polices. You can learn more about how to count cards in blackjack here. For your convenience, blackjack house rules for all blackjack games reviewed on this site are provided on casino review pages so you can read the exact rules employed by that casino. Additionally you can compare rules by platform here. With regard to counting cards playing live blackjack, casinos employ a standard counter measure designed to render counting largely ineffective. Typically most live casinos employ re-shuffles mid-shoe, making it impossible to penetrate deep into the shoe with a count. 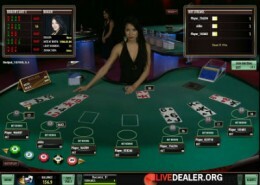 More details on live blackjack card counting may be found here. Wiki’s black jack: Always a useful starting point, touching on most aspects of the game of blackjack.